Purchasing a home on your own is an achievement- a milestone in life! But with given the continuous growth in the real estate sector, buying a house is becoming close to impossible for many due to rapidly escalating prices, especially in cities. Since most home seekers are unable to pay a huge sum as a down payment, they rely heavily on housing loans. However in truth, home loans aren’t easy to come by. Not only that, getting your hands on the best deal requires tremendous amounts of patience, research, and a few changes when it comes to your financial habits. So how does one get hold of the best home loan and make the most of it? Before applying for a home loan, pay attention to its interest rates. It is important to keep an eye on the fluctuations of interest rates in the market and identify what other competitors are offering in order avoid paying more than you should be. However, be aware that when interest rates are lower (ceteris paribus), this usually means that property prices are higher during that particular period of time. Your credit score is one of the main things that will be scrutinised when you apply for a home loan. Lenders are hesitant to offer big loans to those with a poor credit score, as this indicates an inability to pay debts on time. In order to maintain a decent credit score and maximise your chances of getting approval for a loan, make sure you pay off whatever you borrow on time. The best way to improve and maintain a high credit score is to pay close attention to your credit reports and accounts, working on any weak points well in advance of your mortgage application. Before applying for your home loan, avoid credit inquiries or making large credit purchases in the run up to the application. 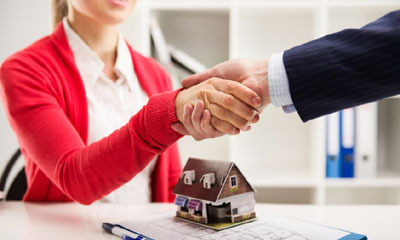 If you have made any credit purchases in the recent past and haven’t been able to clear your balance on time, you are highly unlikely to obtain a home loan. Lenders are concerned about your ability to pay interest on time before approving your home loan application. By increasing the upfront amount you pay when purchasing your home, the amount you pay in interest can be minimised. This is a great move for the long term. By borrowing less, you are obliged to pay less interest overall, meaning that you will pay off your mortgage more quickly.